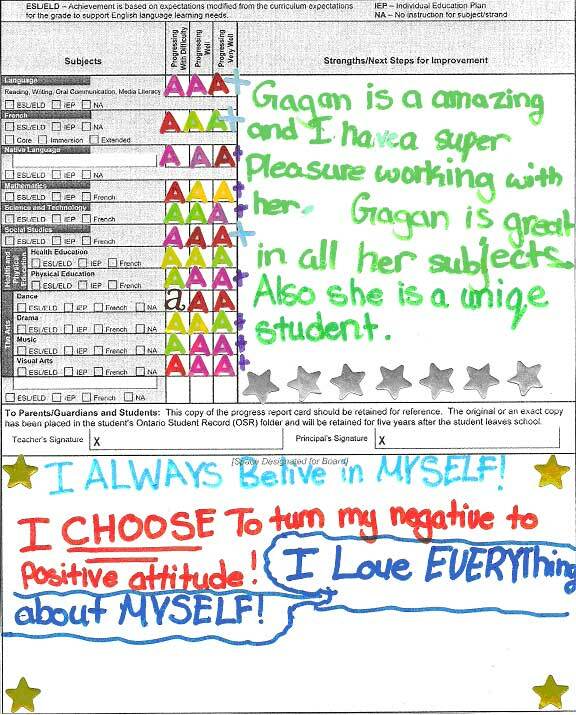 In this original modification of traditional goal setting, after each Term, students will be thrilled to find out that they get to create their ideal report card. Students will gain the understanding that goal setting can be fun, exciting, and creative! With this activity, students will get to make interesting collages and take home new ‘posters’ to decorate their bedroom walls, all while manifesting their success. 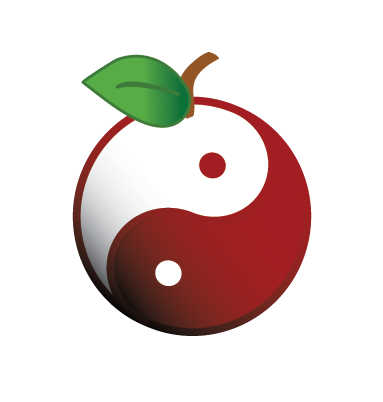 Goal setting is an imperative aspect of achieving fulfilling, creative, and successful lives. Students should be learning how to set goals and go about achieving them from an early age. It has been my experience that students do not feel engaged in the typical goal setting format in which 3 goals are written and predicted timelines for achievement are set. By teaching goal setting through the creation of vision boards, students will have fun, and set themselves up for a lifetime of successes through this simple process. The bottom line is, vision boards work. They are a tangible, visible means of seeing what you want and moving forward with creating it. Vision boards are used by some of the most famous and successful people on the planet – both young and old alike. Through this lesson, you will discover that students are having more fun than ever, with goal setting, while also achieving more than they ever had in the past! 1. Begin this lesson by holding up two examples of goal setting – one that is a long list of sentences and another that is a vision board. 2. Ask the students which of these grabs their attention the most (assuming that colourful, pictorial, vision boards are chosen) use this as a lead in to your lesson about what goal setting and vision boards are. 3. Discuss the importance of goal setting. Reinforce the fact that students need to believe that something is attainable in order to manifest it into their lives. 4. Students need to understand that it is not important to know how or when a goal will manifest or come about; they simply require the belief that it will. 5. 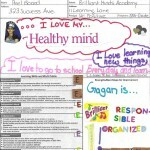 Create your own report card vision board as an example for the students, or, show them other vision boards that you have created for various aspects of your life. 6. Introduce the Vision Board Assignment. Inform students that they will be given a blank template of the actual report card document. 7. It will be the students’ job to transform the blank document into a vision board that encompasses all of their dreams and visions of success at school. Use positive words and phrases that are concise and stand out (it’s not favourable to have a long detailed vision board that needs to be read like a novel). 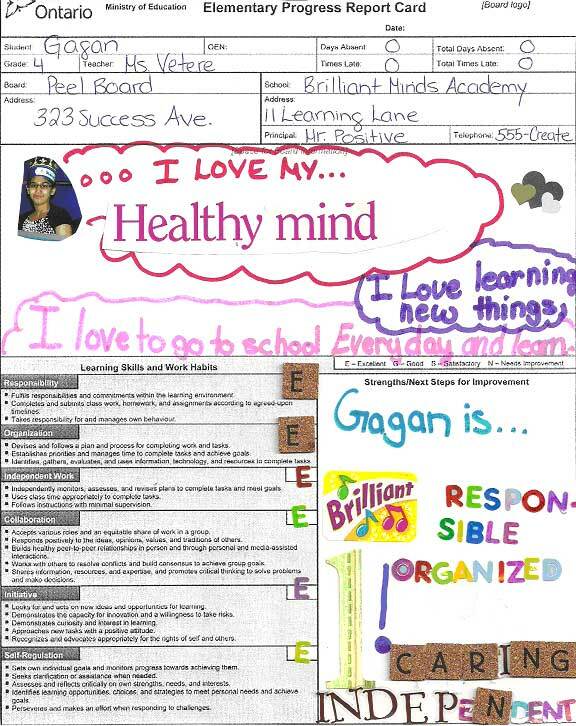 Use stickers, magazine cut-outs, pictures and real life photographs (even of yourself) to cover the report card with visuals of your greatest visions! 9. After the vision boards have been created, teach the students how to use them. 10. Vision boards should be readily accessible – either hung on a wall that is visible each day, or, portable so that it can be viewed whenever desired. 11. 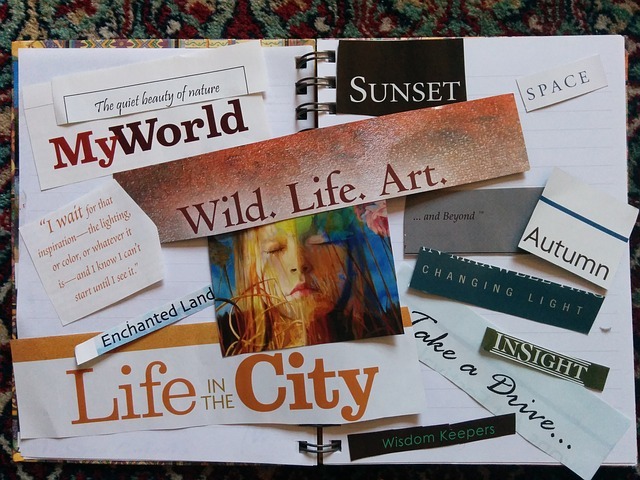 Students need to be taught to view their vision boards each day with extreme, joyous emotion. It is the feelings that are attached to our visualizations that make them become a reality. 12. Encourage students to remain focused on the idea that all of their visions are already true for them. 13. Have students re-visit the concept of vision boards for any vision they wish to create in their lives! [box type=”note” style=”rounded”]Refer to the Parent/Guardian Letter attachment for a succinct description of this lesson. This attachment can be reproduced and sent home to parents to inform them of the vision board assignment and the requirements for it. You can download the [ilink url=”http://www.newageteacher.com/lessonplans/NewAgeTeacher-EnvisioningYourSuccess.doc” style=”download”]Envisioning Your Success Lesson Plan[/ilink] here! 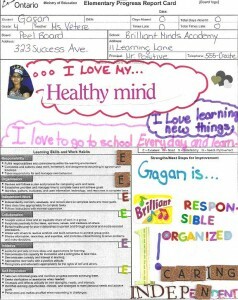 You can download the [ilink url=”http://www.newageteacher.com/lessonplans/ReportCardTemplate-VisionBoard.doc” style=”download”]Report Card Template – Vision Board[/ilink] here! You can download the [ilink url=”http://www.newageteacher.com/lessonplans/VisionBoard-LetterToParents.doc” style=”download”]Letter To Parents/Guardians[/ilink] here!